A symposium on Drawing and the Sketchbook in the Age of Digital Transformation. Lectures by Sergei Tchoban (Tchoban Foundation), Wolfram Putz (Graft Architects), Barbara Brinkmann (TU München), Astrid Bornheim (AMM Hochschule Bochum), Matthias Beckmann (Berlin) und Gabi Schillig (Studio for Dialogical Spaces Berlin). In early spring Gabi will give a talk about her work and teaching in the Studio Class of Professor Kadambari Baxi at Barnard College / Columbia University New York City. Kadambari Baxi is teaching in the field of Architecture, New Media, Cities and Contemporary Forms of Globalization. The Plain Notebook Project is an ongoing international project, curated by Dr. Guy Morag Tzepelewitz. Artists from 45 different countries contributed to this project, sharing multidimensional works, spatial installations, video works and sculptures, related to the object of the brown Israeli notebook. It is associated as a political object that is radically reconstructed when removed from its ideological context through artistic transformations. The project proposes a model for initiating future collective and international values and dialogs. The 2nd edition of the project's group exhibition will take place in the Gallery at the Cliff in Netanya / Tel Aviv, Israel. 'Floating Peripheries - Mediating the Sense of Place' is an artistic research project (consortium) funded by the Academy of Finland (2017–2021). In this project various artists and researchers aim at enlarging the understanding of ‘peripheries’ into areas that are difficult to verbalize by "producing new art-based strategies for unraveling the spatial and conceptual hierarchies and biased assumptions of what and where the 'periphery' is in relation to the 'center'". The consortium is a collaboration between two leading institutions: Aalto University of the Arts, Design and Architecture and the University of Lapland, Faculty of Art and Design. Researchers are: Liisa Ikonen, Maiju Loukola, Elina Lifländer, Harri Laakso, Mari Mäkiranta, Eija Timonen and Jonna Tolonen. International cooperation partners are Dr. Dorita Hannah (Aalto ARTS, University of Tasmania, University of Auckland) and Gabi Schillig (Berlin University of the Arts). The 'Urban Peripheries' workshop will take place at Aalto University in Helsinki from February 10 to 19, 2019 and will be exploring spatial interventions as artistic alternatives for urban transformation. The second workshop will take place at the Berlin University of the Arts in December 2019. The artist residency at Villa Eläintarha is a programme for short terms artistic production residencies in Helsinki, Finland. It is coordinated by HIAP - Helsinki International Artist Programme and is made possible through the support of the City of Helsinki. Gabi will be a guest at the Villa from February 10 to 19, 2019. HIAP residency programmes provide opportunities for international arts professionals to undertake creative work, conduct research, build networks and engage in an interdisciplinary dialogue with the HIAP community. ‘Imaginary Spaces – Spaces of Communication’ examines how human-space relationships can be reinterpreted in the age of advancing digitization in order to produce future hybrid forms of spatial communication design. As part of the design and exhibition project, which is being developed and produced in collaboration with designtransfer, the exhibition will explore these questions using experimental spatial and artistic means – imaginative spatial constructions, physical objects and communication apparatus, furniture objects, spatial installations, transmedia environments, situations, or new multisensory work-viewer relationships that blur the boundaries between the real and the unreal, the virtual and the physical. The result is a series of multidimensionally extended perspectives on forms of spatial communication that enable an expansion of the sensory dimension of experience. A project of the Class of Spatial Design and Exhibition Design in collaboration with designtransfer / Vorspiel transmediale. "The conference focuses on the notion of periphery/peripheries in relation to the varied methods, materials, concepts, questions and ideas accurate in the fields of artistic research and visual studies. The conference will include presentations, artistic interventions, discussions and installations that speculate about the multitude of peripheral sites and situations as a multi-layered and complex phenomenon – as conceptual, spatial and site-responsive domains, aesthetically and spatially experienced and shaped by associations, representations and practices through different mediums in arts and epistemologies." „Spaces of Communication“ ist eine Reaktion auf die Frage nach möglichen Gestaltungsformen räumlicher Kommunikation und darauf, wie diese erkundet werden können. Die in diesem Buch dokumentierte Auswahl studentischer Arbeiten am Lehr- und Forschungsgebiet „Gestaltungslehre – Räumlich-Plastische Gestaltung“ an der Peter Behrens School of Arts der Hochschule Düsseldorf steht für eine experimentelle und prozesshafte Auseinandersetzung mit dem Medium Raum. Die in Ausschnitten gezeigten Arbeiten aus den Jahren 2012 bis 2018 geben in ihrer Vielfalt einen Einblick in die Aktivitäten in der Lehre. 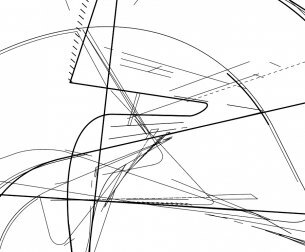 'Un/Certain Futures' is a open access publication edited by Marius Förster, Saskia Hebert, Mona Hofmann and Wolfgang Jonas, published by transcript. The book investigates the role of design in social processes of transformation through various essays and texts. Between the lines you will find works of the artists: Alexandre Bavard, Roshan Adhihetty, Dani Pujalte & Rita Puig Serra, Marlene Bart, Daniel Kuge, Felix Helmut Wagner, Verena Friedrich, Benjamin Maus & Prokop Bartoníček, Stefan Bladh and Gabi Schillig.